Sequoia National Park is adjacent to Kings Canyon National Park in California's southern Sierra Nevada mountains. 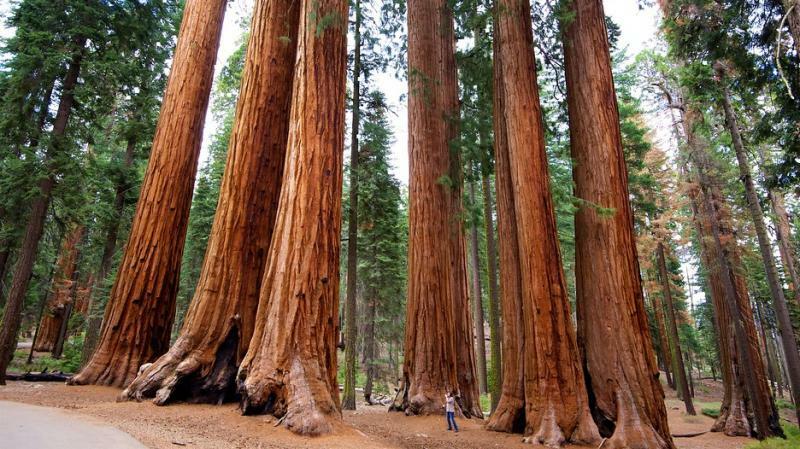 It's known for its huge sequoia trees, notably the General Sherman Tree dominating the Giant Forest. The underground Crystal Cave features streams and striking rock formations. Moro Rock is a granite dome offering sweeping park views. Nearby is the Tunnel Tree, a toppled tree cut to accommodate the road.